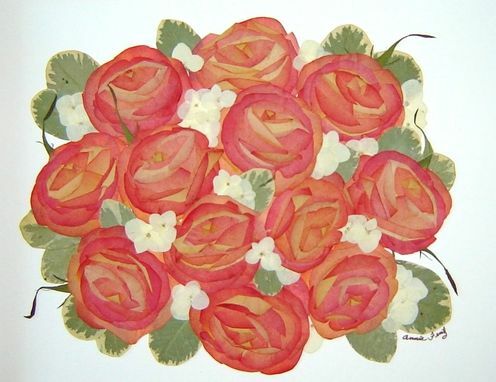 Pressed Flower Art ~ Bridal Bouquet! 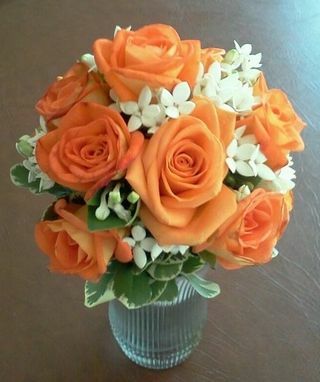 This beautiful bridal bouquet of orange roses are pressed and arranged to look like the original bouquet that the bride carried down the aisle on her wedding day! It was shipped to me in Texas from California, overnight express. 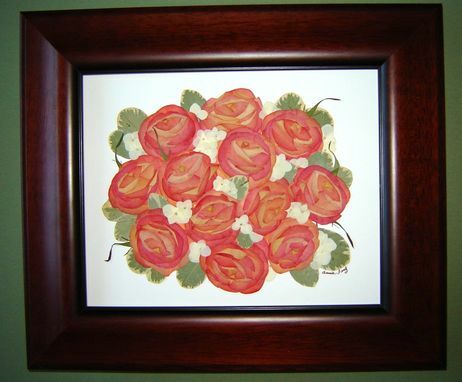 The roses are taken apart, pressed, reassembled and then arranged according to the customer's wishes. Then, the art is vacuum sealed and professionally framed. Pressed Garden ~ Preserving Your Floral Memories !